‘In Autumn 2012, the former Clifton Cinema in Wellington stood empty. Local people talked about turning it back into an arts or entertainment venue, but cynics said it was pie in the sky. Four years later, the Belfrey Arts Centre Trust and huge local support has turned this into one of Shropshire’s most celebrated arts venues. 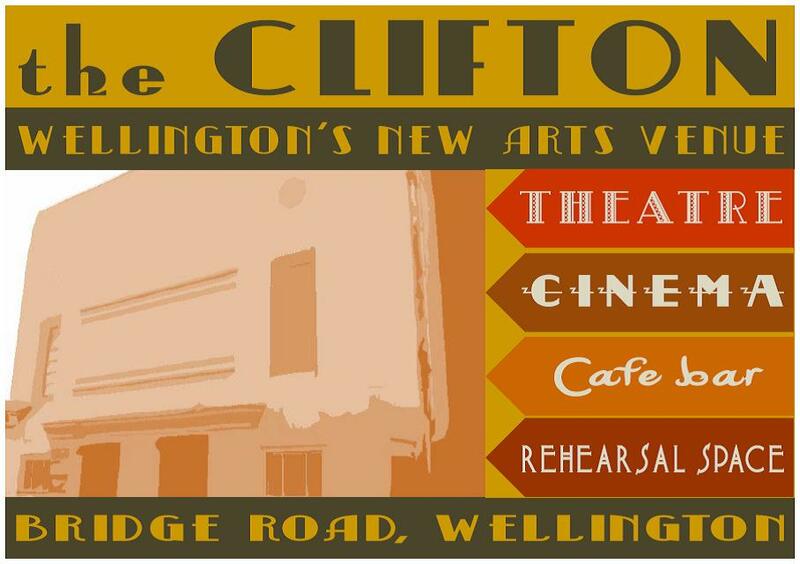 Alongside community theatre and arts activities, which relocated from The Belfrey’s old site in 2014, The Clifton hosts regular touring theatre productions, one man shows and weekly cinema screenings. If you want to see postcards like this floating around Wellington a few years from now, come along to the Ideas Farm at Wellington Civic Centre on Saturday 10th November, 10.30 – 1.30, and see if other people share your enthusiasm for this version of the future. I think they might. The Clifton ‘opportunity’ has certainly created discussion and is on the front page of todays Telford Journal and inside the Shropshire Star! A group from TCAT seemed to be very interested and have arranged a meeting for November 19th. The project has potential and crowdfunding could be one way forward. Making History: the Makers’ Dozen Trail launches this week! What’s on in Wellington this summer? Get the Guide!